The design of the domestic toilet has moved on very little in the last few hundred years, but that could be about to change. 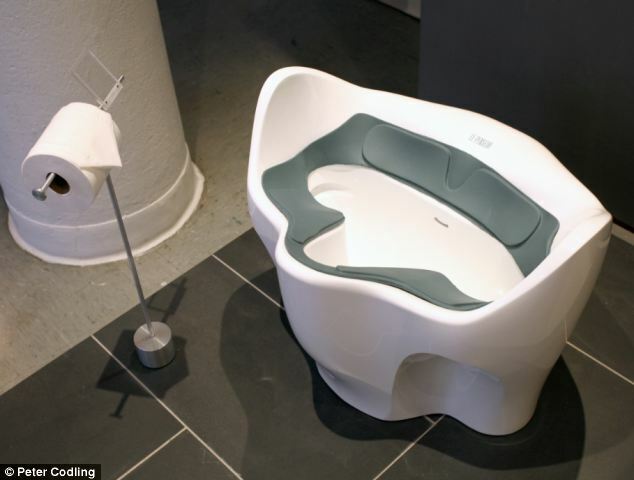 Designer Peter Codling, 30, has created a new style of toilet that allows the user to sit in a more natural squatting position. He believes that if this toilet was widely used it would result in a fall in the number of people suffering from colon cancer, haemorrhoids, heart attacks, and incontinence among other things. The postgraduate Innovation Design Engineering student at the Royal College of Art in London explained that when people are sitting in a squatting position they can empty their bowels more easily and more completely. This means they have less chance of faecal retention which is a key contributing factor in many cases of colon cancer and appendicitis. He also explained that when people are able to empty their bowels more easily they are less likely to strain and that the straining can cause haemorrhoids, pelvic floor damage, and even heart attacks. Mr Codling claims that currently 43 per cent of women who have had a child develop some degree of incontinence, but that using the toilet would dramatically reduce the problem by reducing the pressure put on the pelvic floor. It is thought that if people relieved themselves while sitting in a squatting position they would also be less likely to damage the nerves that control the bladder, prostate and uterus and that they would be less likely to suffer hernias and pelvic organ prolapses. 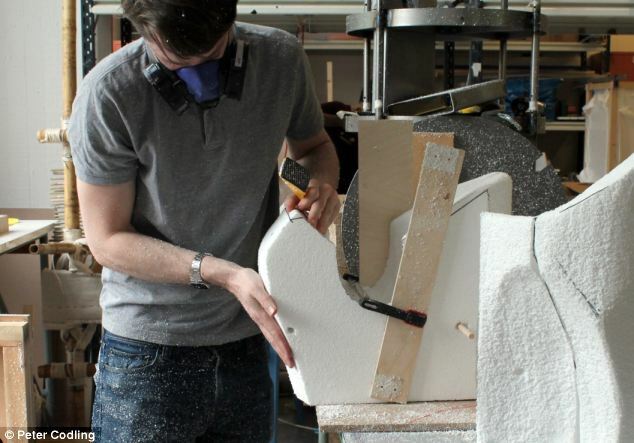 Mr Codling has spent four months working on the toilet design and the prototype, known as Le Penseur or The Thinker, is currently on display at the Royal College of Art in Kensington. He said: ‘The products we learn to use from an early age can be relegated to obscurity and no longer challenged. 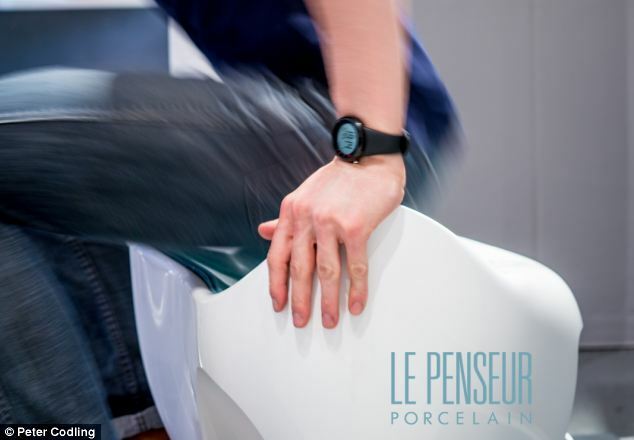 His design is aimed at domestic use and could be installed by a normal plumber. Mr Codling says that it is very comfortable and is, actually, more comfortable than a normal toilet for shorter people. He also explained that the sitting position on his toilet is slightly lower than on a traditional one so he installed handles to ensure that people, including the elderly, can use it and then stand up easily. He told MailOnline: ‘The whole idea is to make life better for as many people as possible. Mr Codling now hopes that the design will be picked up by a manufacturer and that it could be put on the market in about a year. He told MailOnline: ‘It needs to be taken on by a large manufacturer who produces these things – I also need funding for more developments.